When an undocumented immigrant is arrested, it generally means double punishment. First, the person will likely be charged and presented with the potential for criminal indictment in the United States. Second, the federal government may move for forcible removal from the country. Because an undocumented immigrant is not a U.S. citizen, many of the traditional rights afforded under the Constitution are not extended to them. Likewise, immigration police may be able to operate outside of traditional court rules and regulations. For these reasons, it’s very important to immediately contact an attorney who can speak on your behalf and fight to help with your charges. At The Law Office of Todd K. Mohink, P.A., our firm stands by those who are accused of crimes, because we know that the fundamentals of “innocent until proven guilty” should apply to everyone equally. Call us now if you require legal representation. What Happens if an “Illegal” Immigrant is Arrested in Maryland? Maryland detention centers are not operated by the local municipalities, because the state has sole authority. For this reason, cities like Baltimore do not have the authority to make decisions about defying removal and transfer orders, as the Mayor explained in 2017. However, police are not supposed to ask about immigration status when talking to members of the public, even those suspected of criminal conduct. When someone is arrested on genuine suspicions of criminal conduct, they will be processed, just like all suspects. Once it is discovered that the individual is in the U.S. illegally, notice will be sent to U.S. Immigration and Customs Enforcement (ICE). 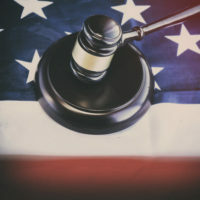 In some cases where the crime is severe, the state may choose to pursue the criminal charges and render punishment here in the U.S. In other cases, the person may be subjected to removal (aka deportation). If an undocumented immigrant is picked up within 2 weeks of being in the country or near a border, then many of the typical protections of immigration court are not applicable. Since Maryland is far from any border, most immigrants will not fall into this category (except those who are very recent arrivals). Sadly, there just aren’t enough immigration lawyers to keep up with all of the legal needs. But if a criminal charge is involved, your first call should be to a local criminal defense lawyer who can protect your rights. After all, being forcibly removed is one thing; doing 10-20 years in a U.S. prison is quite another. As a criminal defendant, you still have the right to legal representation, the right to a jury trial, and the right to have the government prove your crimes beyond a reasonable doubt. While this may not keep you in the country, it can make it easier getting back in later if you do not have a criminal record. So, call The Law Offices of Todd K. Mohink, P.A. to speak with an experienced Maryland criminal defense lawyer near you.